If you are planning on attending or hosting a booth at an upcoming convention in Texas, make sure you are prepared with all the convention products you need. Taking everything you need for a convention yourself can be a hassle and nobody likes traveling with all that expensive equipment which is why a lot of people go with Convention Equipment Rentals from Rentacomputer.com. 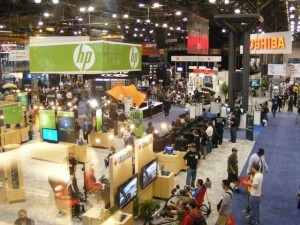 Rentacomputer.com offers all the latest technology rentals to make your convention center booth really stand out and draw in those extra customers or contacts. 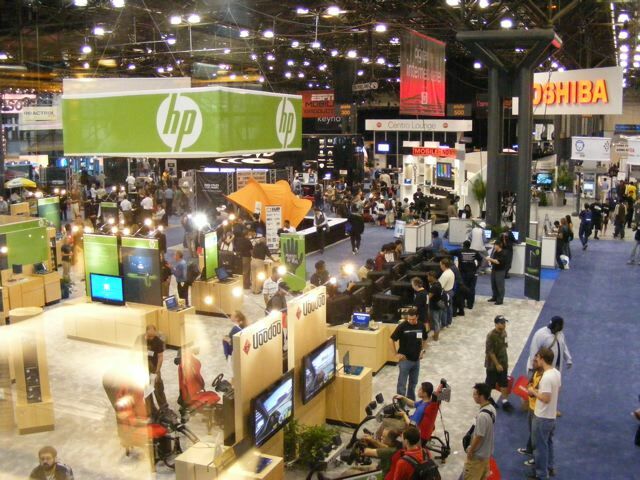 Most conventions usually involve big crowds in a large, arena-like setting which often means that you need very large format video displays which, most of the time, are larger than what is possible with a single screen. This is where video wall rentals come in handy. Video walls can provide much larger formats by linking multiple screens together, allowing your audience to see every detail of your display. High-quality and reliable sound is also a necessity for most conventions, allowing you to communicate to your audience. Rentacomputer.com offers sound system rentals that incorporate everything from microphones and soundboards to cables and amplifiers. Not only can Rentacomputer.com coordinate delivery and setup but they can also have on-site technicians there to run and maintain your complete sound system rental. If you need sound equipment or a video wall, chances are you may also need lighting system rentals. High-quality lighting with high-quality sound will enhance your event with a professional theme and ambiance, making your event a memorable one. The best part is that your Tech Travel Agent will be your single point of contact for not only your lighting system rental, but also every other equipment rental you need. Whether you need a video wall rental, sound system rental, lighting system rental or an interesting lighting sail rental, Rentacomputer.com is there for you. Rentacomputer.com provides local delivery, setup and installation and will even tear down and take everything away for you, allowing you to focus on what is really important, your presentation, customers and contacts. This entry was posted in Technology Rental and tagged convention equipment rentals, lighting system rentals, Rentacomputer.com, sound system rentals, Texas convention rentals, Texas Rentals, Texas technology rentals, video wall rentals. Bookmark the permalink.